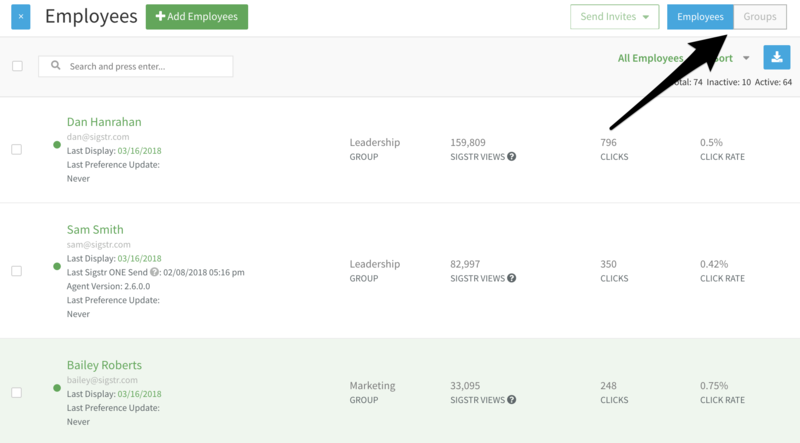 Sigstr’s group feature allows Sigstr admins to segment employees to ensure that campaigns served are relevant to each email recipient. 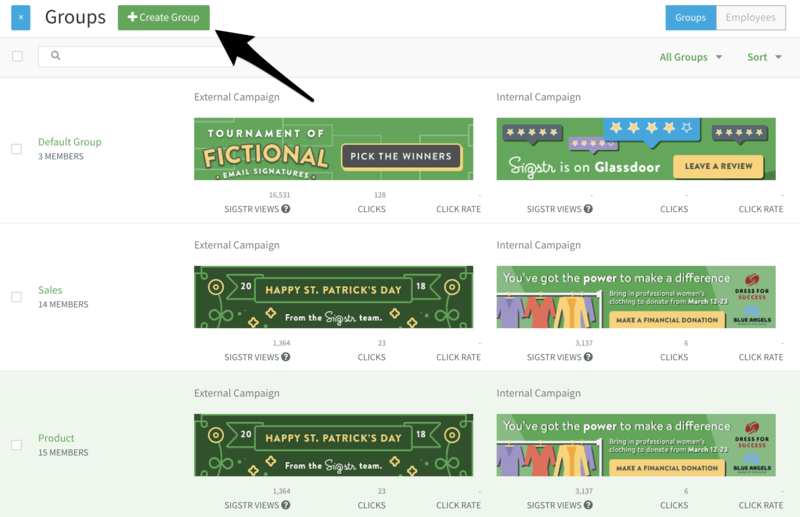 A company using groups can assign different campaigns to Marketing, Sales, HR, and more. The easiest way to create groups is through a CSV file import, but a second option is do it manually through the application. To manually create groups, follow the directions below. In the Employees tab, navigate to the Groups section. Name the Group then select Create. Once you have created your groups, assign employees to groups.